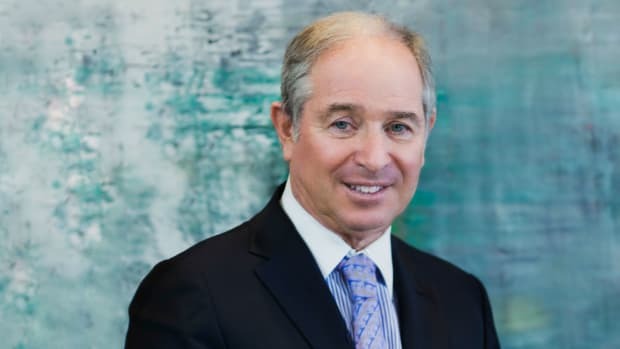 Less than a week after Steve Schwarzman’s Nagasaki joke bombed in Boca (of his failure to get the loan money to buy mortgage company PHH, Crab Hands said, “Trying to buy a mortgage bank in the midst of the subprime crisis was the equivalent of being a noodle salesman in Nagasaki when the atomic bomb went off. Not a lot of noodles left, or even a person, and that’s what happened to us on this deal.”), Blackstone has announced it would like to get in on some deal opportunities in Asia. It plans to do so with the launch of Blackstone Altius Advisors, an event-driven strategy based in Hong Kong, with staff in Tokyo, Mumbai, and New York, and focused on money making schemes on the left-hand side of the Pacific. Good to see no one over there’s holding a grudge. Though, to be fair, it’s been a while since the atrocities that Schwarzman made light of in Florida went down. That real test would be to have Schwarzman make some cyclone cracks in his next public appearance, and see if they have an effect on Blackstone’s (non-existent) business efforts in Myanmar (which you know he would probably call Burma, after making "Formosa" and "Peking" jokes).